Lindfield's range of Co-curricular activities add a diversity and richness to the academic program at the school. Our many diverse co-curricular opportunities at the Preps help our boys become well-rounded young men. 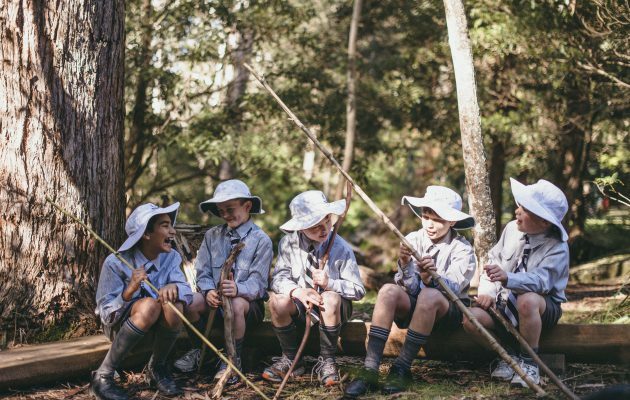 At Lindfield Prep, students engage in a range of pursuits each and every day. For many boys their morning starts very early with music rehearsals in one of our many ensemble groups. As formal lessons start, boys are immersed in tasks that are geared to inspire them in literary, numerical, creative, practical, philosophical, spiritual and physical domains. 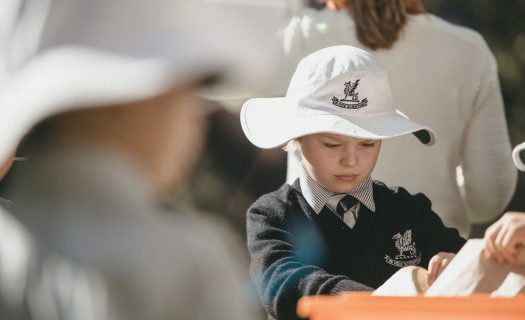 Beyond the school day, classrooms and sporting ovals are still very busy places as students participate in activities such as Robotics, Art, Theatresports, Drama, Debating, Chess and Sport. Additionally, involvement in an array of activities may be the catalyst for igniting the flames of interest that could turn into lifelong passions. Most importantly, taking part in a variety of activities allows boys to stretch their own boundaries, take risks and ultimately to discover what is of value to them. Participation in sport promotes physical growth and body awareness in young boys, strengthens motor skills and helps to develop personal and social skills. At Lindfield Preparatory School we believe that the rewards of sport can be great. Boys in Years 3-6 participate in the Independent Primary School Heads of Australia (IPSHA) Competition held on Saturday mornings. Each boy represents Newington College in a summer and winter sport where they are given the option of playing Basketball or Cricket during Summer and Rugby or Football in Winter. Both Lindfield K-6 and Wyvern House combine for their annual Swimming, Athletics and Cross Country carnivals involving all boys in Years 3-6. From these carnivals, boys are then selected to represent Newington in the various inter-school competitions in the State. Junior primary boys are involved in their own Swimming and Athletics carnivals during the year and come together with Wyvern House for the Athletics Carnival which is held at the Senior Stanmore campus. A comprehensive music tuition program is offered to all boys at LIndfield. Private tuition is available for piano, violin, viola, cello, double bass, flute, clarinet, saxophone, horn, trumpet, trombone, tuba, euphonium, guitar and percussion at Lindfield K-6. Each boy who takes up private tuition is also required to participate in an ensemble when he has reached the appropriate standard. The ensemble groups currently offered include the String Ensemble, Concert Band and Selected Choir. The ensembles supplement and extend the work covered in private lessons and also provide the opportunity to perform at various concerts throughout the year. Lindfield Strings Ensemble is open to boys from Year 4-6. Boys in this group play each week at assembly and occasionally perform with Wyvern Strings. This group is the premier band at Lindfield Prep, primarily made up of Year 6 boys who started their instrument in the Year 4 Classroom Winds and Brass program and are involved in private lessons. This band accompanies the congregation during Lindfield Chapel Services and can be any combination of instruments. It is specifically designed for each service. The Lindfield Choir is an auditioned group of boys from Years 4, 5 and 6 at the Lindfield campus and focuses on establishing good choral foundations. At both Lindfield and Stanmore campuses, all boys sing as part of Stage Choirs on a regular basis within the school week.